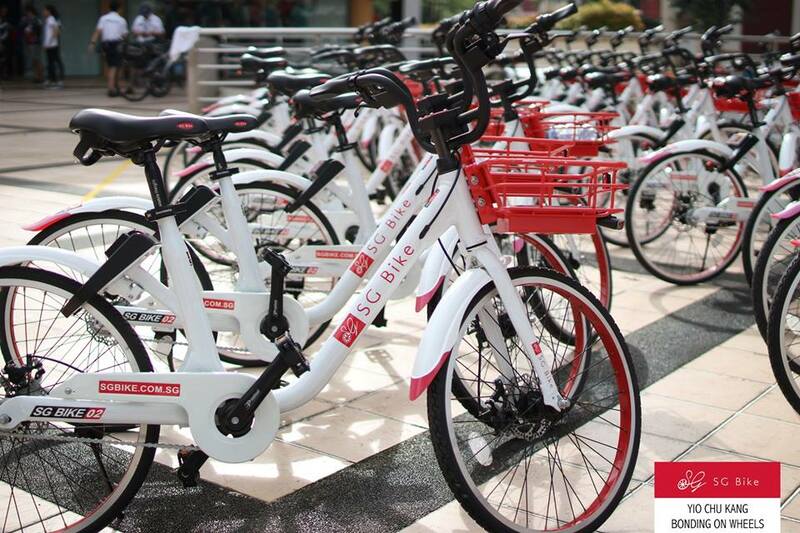 Only 5 Out Of 8 Bike-Sharing Firms Remain In S'pore - How Many Will Finish The Race? Shared bicycles are a blessing to some, making their commute easier. But they have also proven to be an eyesore and bane when they’re left haphazardly stranded along pathways. Love them or hate them, these eight firms have entered Singapore hopeful over the past two years, and were in for a tough ride. In January this year, co-founder of enthusiast group Love Cycling SG, Francis Chu said the country was too small for the five bike-sharing firms that were around back then, and he believed not all would survive. By July, three companies, GBikes, oBike and ShareBikeSG, have pulled out their operations from Singapore. oBike, which is now drowning in a high profile debacle and going through liquidation after its exit from Singapore, was the first firm to set up in the city in January 2017. In the months that followed, it was soon joined by Chinese companies, ofo and Mobike in February and March. Backed by Alibaba and Tencent respectively, the two firms were already established with millions of bikes and widespread popularity in China, proving to heighten competition when they entered Singapore’s market. All three aggressively pit themselves against each other with different offerings and promotions for customers. 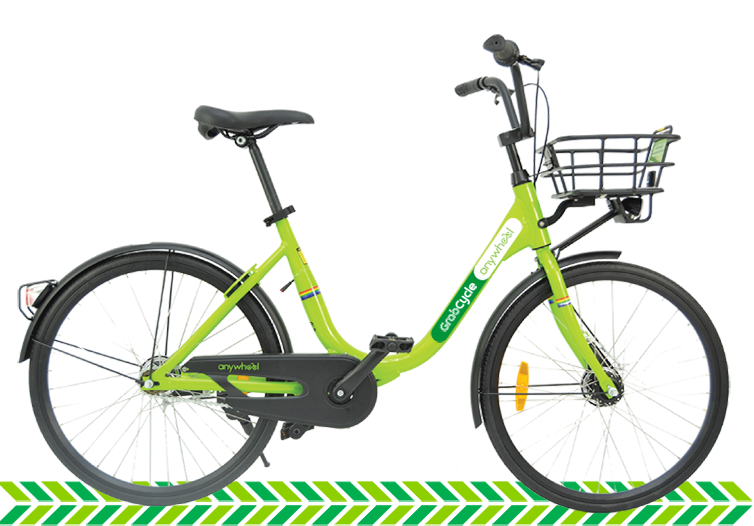 The later part of 2017, and 2018, saw more local startups vying for a piece of the bike-share market, with SG Bike, GBikes, and ShareBikeSG, rolling out their own fleets. Backed by Chinese electronics company Xiaomi, another Chinese bike-sharing firm, Baicycle launched in Singapore, offering conventional bicycles, e-bikes, and e-scooters. The most recent entrant is another local startup, Anywheel, which launched early in 2018, bringing the total bike-sharing company count to eight firms in Singapore. Since these dockless bike-sharing services exploded onto the streets, indiscriminate parking and vandalism were quick to catch up. People frequently reported finding pedestrian pathways and HDB void decks obstructed, bike-sharing bicycles badly damaged, and even bicycles being dumped into canals. 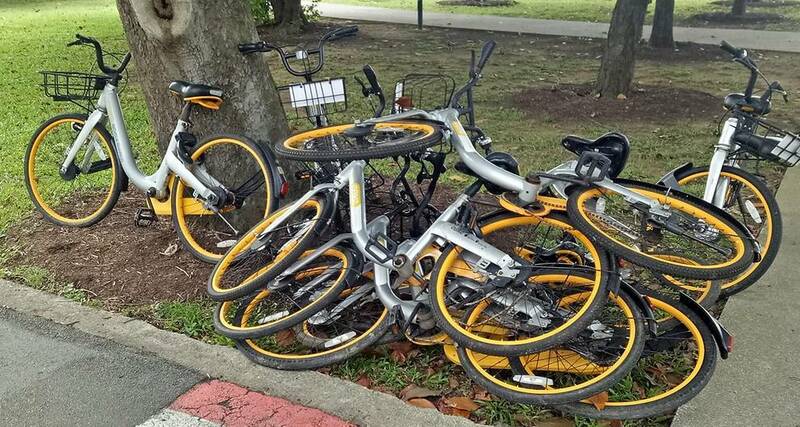 As early as April 2017, oBike and ofo were already troubled by users illegally parking and thrashing their bikes. 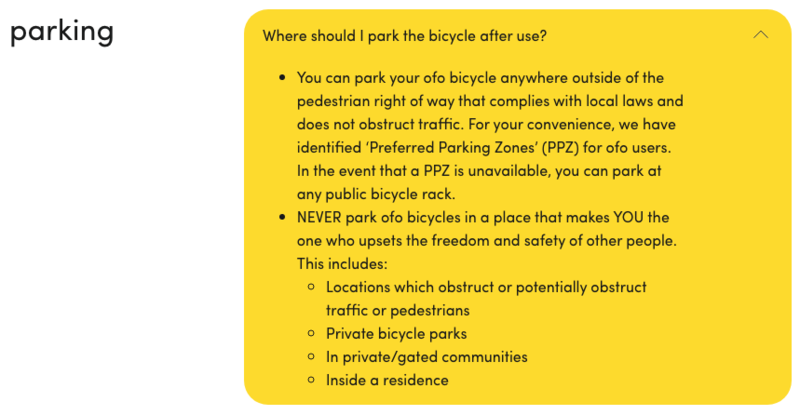 In an attempt to change users’ behaviour, ofo added proper parking suggestions in-app, and introduced a one-time refundable $39 deposit for their service, which was previously not required. 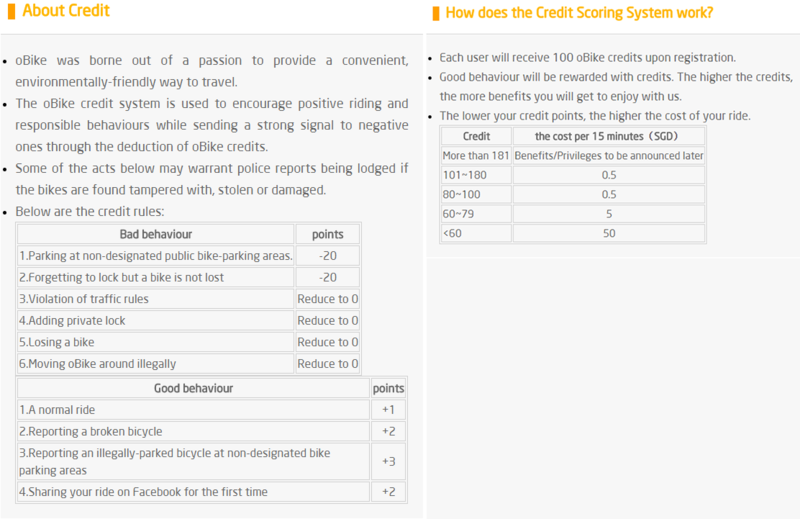 oBike’s approach was a credit system that rewarded or deducted points based on positive or negative behaviour from users. The amount of credit users had would affect the cost of their rides. 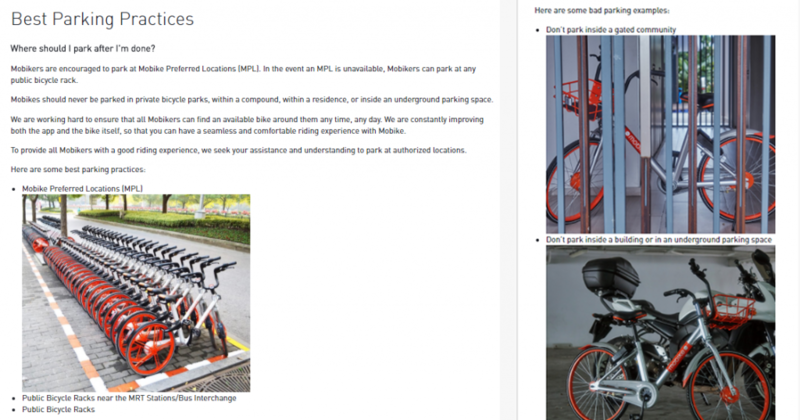 Mobike began to educate their users about “best parking practices”, with examples of where to park and where not to park shared bicycles. 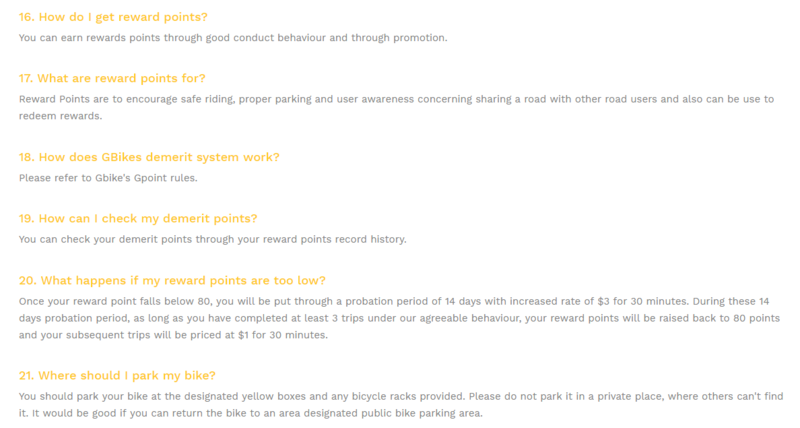 Local startup GBikes implemented a similar system to oBike, rewarding good behaviour with ‘Gpoints’, and enforcing penalties like probation periods and increased rates for poor behaviour. 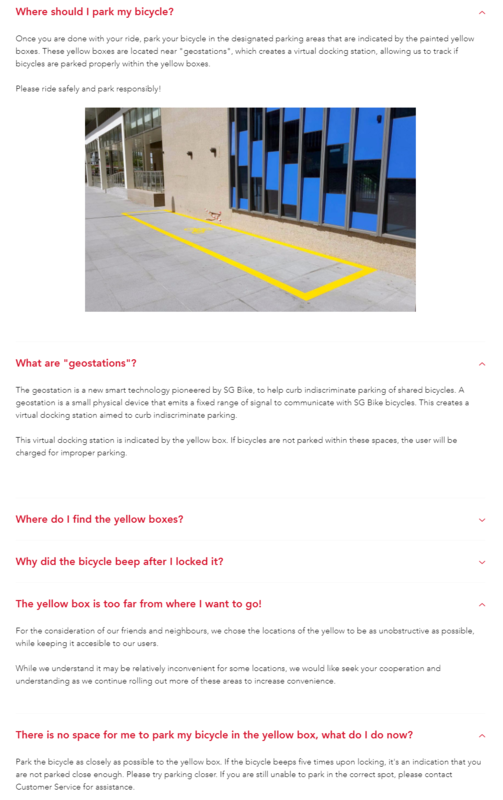 When SG Bike entered the scene, having already witnessed the issues unfolding, they were the first to introduce geo-stations to curb indiscriminate parking. 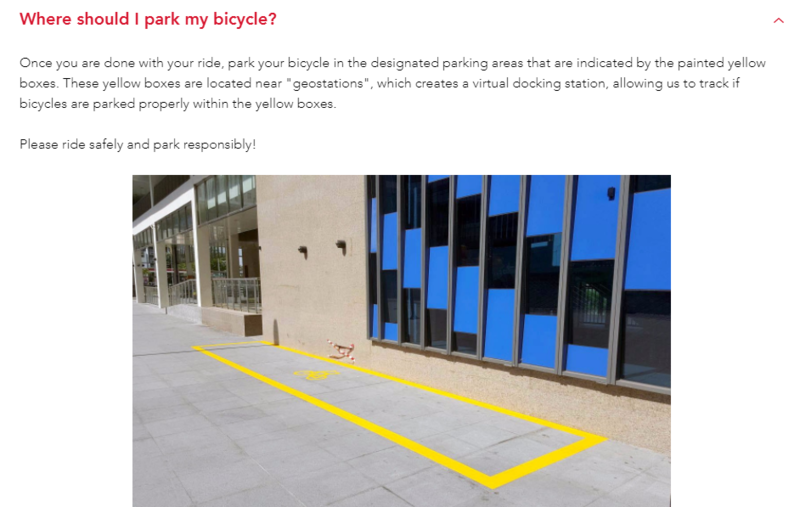 Geo-stations, marked by a yellow box, work by emitting a fixed-range radio frequency field that identifies when bikes are parked around them. In March 2018, a new bill was passed to target the problem of indiscriminate parking of bike-sharing bicycles. Following this, LTA has been testing geo-fencing technology, with plans to get all firms on board and to complete the first phase of trials by 2019. Despite each company’s efforts, irresponsible behaviour has proved difficult to wipe out. However, instead of users being corrected, the bike-sharing firms end up bearing the costs. By February this year, LTA said it had issued 2,100 removal notices for indiscriminately parked bikes, and collected $180,000 in fines and administrative fees from bike-sharing firms. 341 bikes that companies were not able to remove within half a day of removal notice had also been impounded. Under the bill passed in March, bike-sharing firms must apply for a license with LTA by 7 July to continue operating in Singapore. The new regulations will require bike-sharing companies to stop indiscriminate parking and suspend users for repeated offences. Firms will have their fleet sizes reviewed every half year based on how well they address the problem of indiscriminate parking by their users. Failure to comply with these rules could cost firms up to $100,000 in fines, reduction in fleet size, suspension or revocation of their licenses. 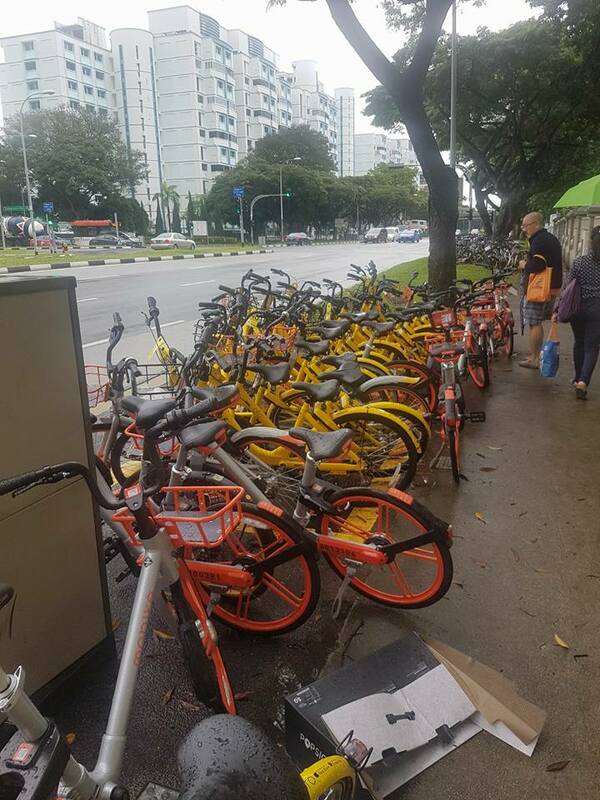 We’ve already begun seeing evidence that bike-sharing firms in Singapore are not holding up well. 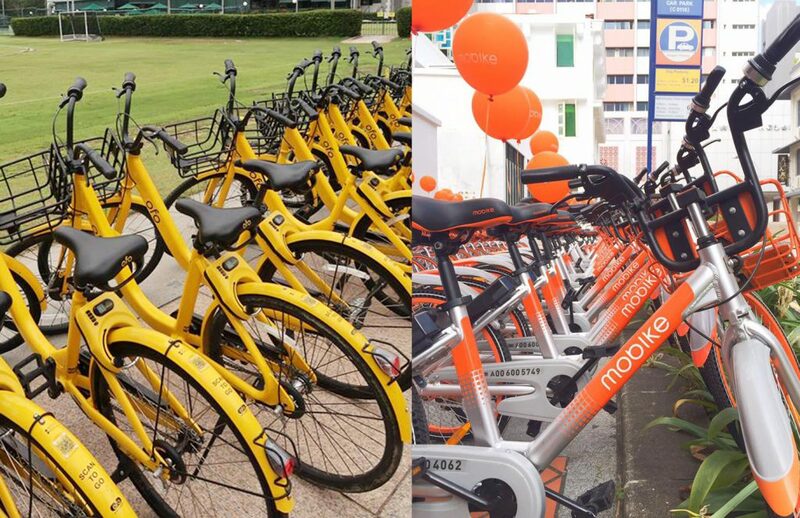 Mobike and ofo’s whopping price hikes, ofo’s failure to pay their logistic fees, and of course, oBike’s dramatic exit leaving behind a mountain of debt, all point toward the firms struggling to stay afloat. Who Has Hit The End Of The Road? 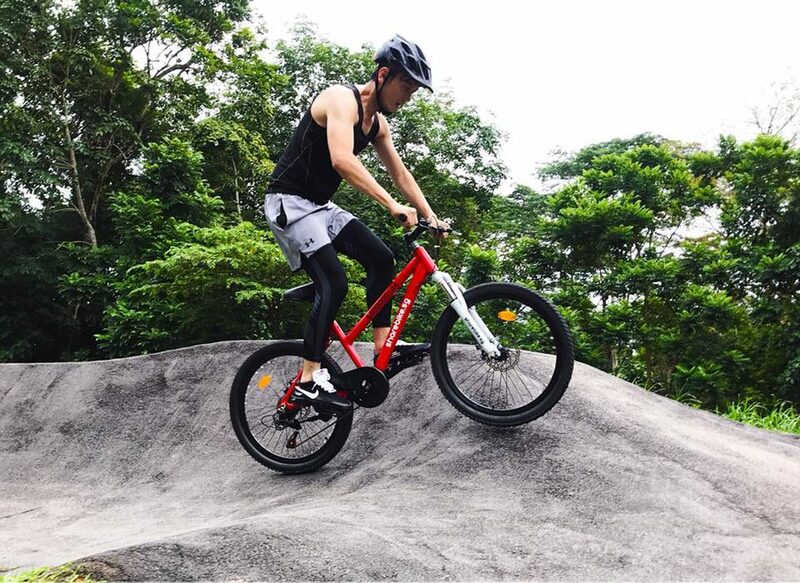 The first bike-sharing firm to tap out of the game was GBikes, announcing early in June that they would cease operations on 7 July. While the local firm did not specify their reasons for termination, it is possible that they’re linked to LTA’s new licensing scheme, which commences on the same day as GBikes’ exit. 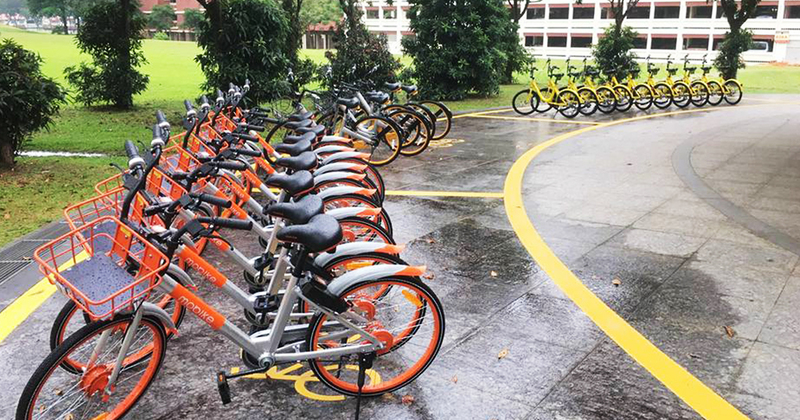 Then, oBike announced its closure in Singapore on 25 June with immediate effect, citing difficulties in meeting the authorities’ new regulations. 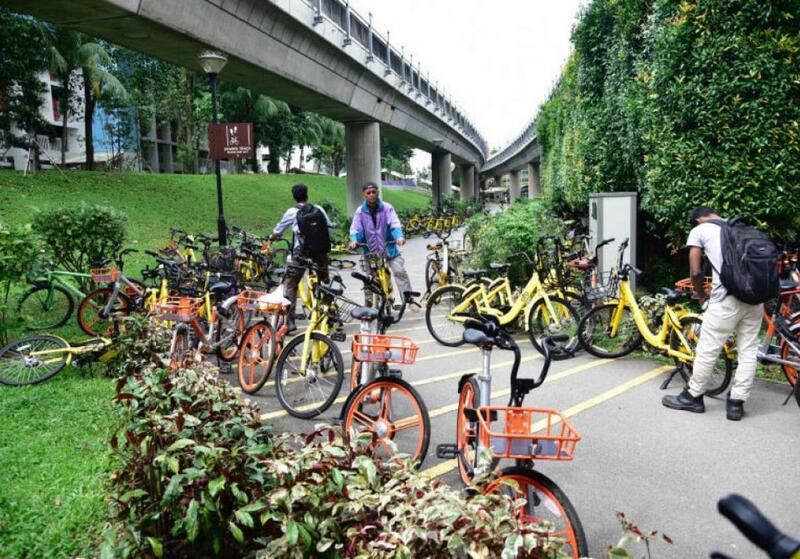 After their exit, oBike has enraged users who have not gotten refunds on their mandatory deposits, and also failed to fulfil their deadline set by LTA to remove all their bicycles in Singapore by 4 July. LTA conducted talks with oBike, expressing their disappointment at the firm’s failure to refund its customers and remove their bicycles, but agreeing to extend the deadline. LTA says that they will step in to remove any remaining bikes after the new deadline should oBike fail to complete the removal again, and “oBike or its liquidator will have to pay the relevant towing and storage fees”. oBike currently owes users $6.3 million for the refunds of their deposits, and owes town councils more than $118,000 for summons issued over indiscriminately-parked bicycles. 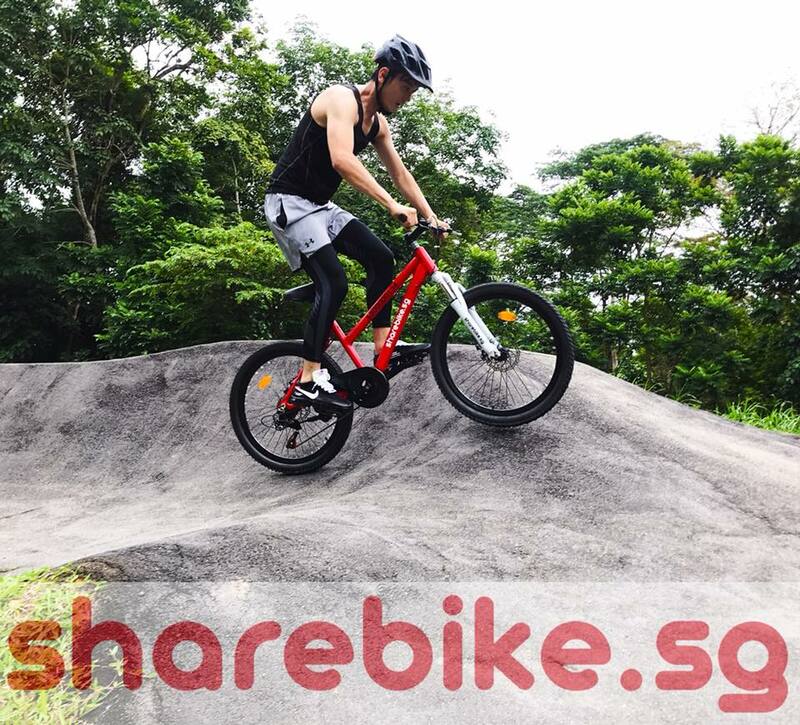 The third and latest firm to shut down on 3 July is ShareBikeSG, only half a year after commencing operations with a fleet of 300 mountain bikes. ShareBikeSG’s founder Ethan Tan said that LTA’s new licensing regulations were difficult to meet, and “hefty fines” imposed on operators made the service hard to sustain. Mobike has recently removed its $49 deposit policy and allowed current users in Singapore to request for a refund, seemingly in response to oBike’s saga. While oBike, GBikes, Anywheel and Popscoot, an e-scooter sharing firm, were initially partnered with GrabCycle to offer their services on the aggregator platform, only Anywheel and Popscoot now remain available on the app. Out of the remaining five bike-sharing operators, Anywheel, Mobike, ofo and SG Bike have submitted their applications to LTA to obtain their two-year license. 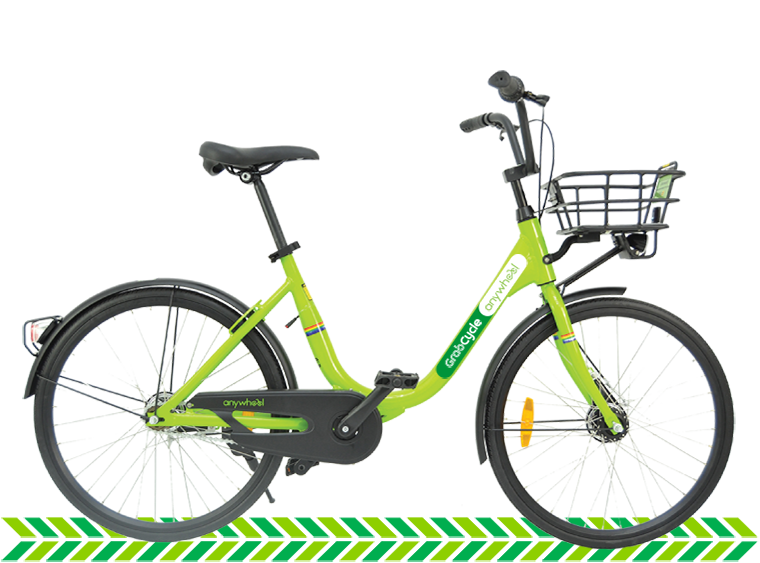 We haven’t heard anything about Baicycle so far, but they’d have to act fast to meet LTA’s deadline if they want to obtain a license to continue operating in Singapore. The firms that have applied would incur a one-time application fee of $1,500 and a $60 fee for every bicycle deployed. 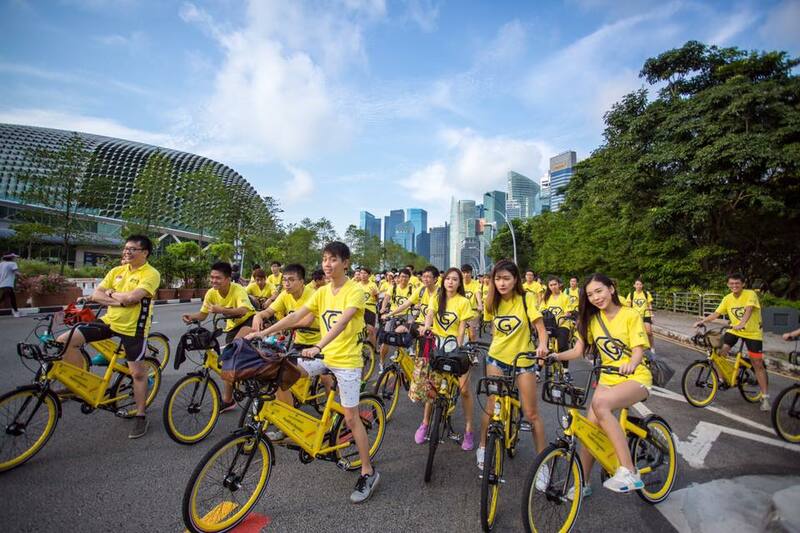 ofo said it has applied for 80,000 bikes, while Anywheel is looking to deploy 30,000 bikes. 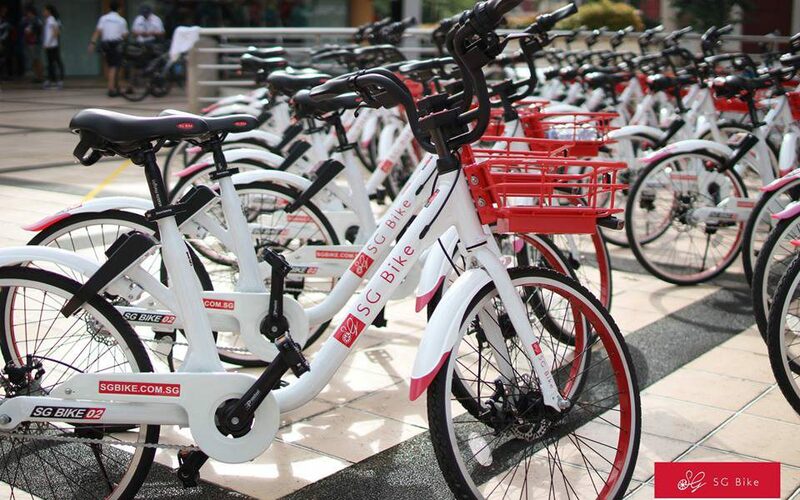 SG Bike revealed that it has applied to increase its fleet size from its current 1,500 bikes, and Mobike has declined to reveal the amount of bikes it has applied to deploy. While they have made it this far, these companies will have a bumpier road ahead, having to adhere to much stricter rules in the future. With such heavy penalties hung over operator’s heads for their customers’ lack of basic consideration for others, the question still remains as to whose responsibility it really is. Will the new enforcement be able to finally educate users to be responsible citizens, or will it just burn the remaining bike-sharing services to the ground?